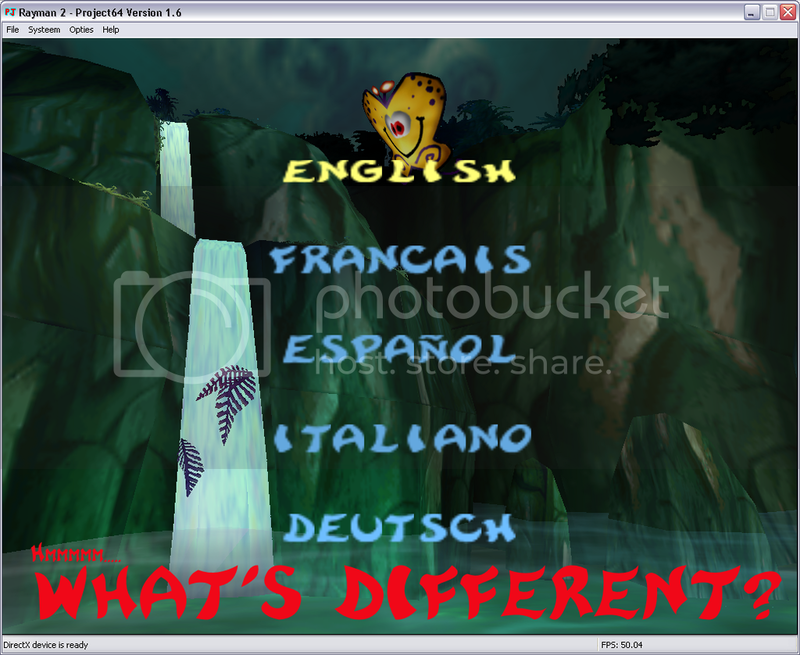 In the French forums, this project was posted by LunaVorax, as REL ( “Rayman Est Libre” ). Luckily, Hunch told me about it, otherwise I’d never have noticed the topic. In the past, some games had very much players. So much, that they started creating modifications, new levels, etc. So far, this hasn’t happened with the Rayman games yet. True, for Rayman 1, there is a level designer. But it doesn’t include everything ( for example, you can’t place Moskito that follows you in your levels, etc. ). And there’s nothing for the other games. So, why not make our own? If there are some people interested in programming some of these, we could do it! Why not? It has already been done for other games by other people, so why not for the Rayman games and why not us? But, um… what is it for? Well… have you already thought of playing Rayman M online ( but you can already play Rayman Arena online, hehe )? You’d also be able to extract & change the models, so that means: other racers, other levels, and more! And not only for Rayman M! Also, you’d be able to make mods for other games, if you just had the models! Hey! I’d like to be part of this project, but I can’t program. Well, I know it’s gonna be hard. But I can’t program ( well, I can, but only Gamemaker ), and still I did a lot already! I’d be a lot easier if you could program though, so you could always start learning C or C++ here ( http://www.cprogramming.com/ ) or others here (http://www.programmingtutorials.com/ ). Great! But is it legal? They didn’t do anything with RayTunes, which is more illegal than this, yet, you know. What? A level editor for the 3D Rayman games? Are you crazy? No, I’m not. Super Mario 64 even has its own level editor ( here - http://www.youtube.com/watch?v=7uCLaxTlD3w ), and that is a ROM, which is even harder to handle than normal PC files! A rewrite of the game’s engine? Eh? Well… it’s something very difficult, but you could make the game work on other platforms ( Linux, Mac, GP2X, Nintendo DS, PSP, etc. ) and add a good number of functionalities ( bigger resolutions, filters, bug correction, realistic blood XD, etc. ). ROMs or the PC version? If you don’t know what these are, I’ll tell ya. ROMs are downloaded files that only work on other platforms ( like Nintendo 64 ) or on emulators for these platforms ( like Project64, which emulates the N64 ). Everybody who is able to read this text most probably has the PC version, which only works on the PC. Now, the question is, what will we work with, ROMs or PC? My personal answer would then be PC. Why? The PC version is the most used version, and the easiest to modify. And not all people can run ROMs. There has been more progress in the ROMs section. For example, I know how to rip music, sounds and text from the PS2 games. I know how to rip images ( including the font and the textures ) from the N64 version of Rayman 2, AND from the Dreamcast version. I can also rip from the PSOne version of R1 and R2, if only the program I used would be fixed ( it keeps giving me an error since a while ago o_O ). That’s right, I modified a texture there. The butterfly texture. I even added resolution to it. And it works! Great, huh? Now, for the other things. In Rayman 3 and M, there are hxd files that have sounds, right? In Rayman M, you can easily obtain all of the normal sounds by just analyzing these hxd files with Nova Extractor (http://www.volny.cz/nova-software/ ). You can also analyze the data.hos ( I guess that’s what it was called ) file in Rayman 3 with it to get all sound effects ( includes Rayman saying ‘Hup!’ and such things ). However, the MUSIC for Rayman 3 cannot be obtained in the full version, because it is compressed in the ADPCM format ( though you can still see all the different files with Nova Extractor ), which is unreadable unless you have Rayman 3’s engine’s decoder. But, you can listen to the music from the beta demo. It's encoded in another way. That way, by comparing, we might be able to decode the compression system. Some other progress: I know it’s not what this is for, but I also got to make a ‘3D screenshot’ of Rayman 3. It’s bugged all over though, so you wouldn’t like to see it. I’ll help! Where to begin? Great! But we won’t start just yet. First, we need your opinion. So please tell me what you think about this ( and about the ROMs vs. PC question ). If you have other questions than the ones I answered here, I’ll be happy to answer whenever possible. I would LOVE to see a Ray1 level editor since Designer is missing a number of things such as the pond background for Dream Forest, the cool cave background for Cave of Skops, the blue sky background for Band Land(a purple version does exist, though), the drummers in Band Land, land tiles for Band Land, hill background for Band Land, paint can background for Picture City, and purple stone men for Blue Mountains. Also, if the music for for M and 3 can't be extracted, then how come we have it at RayTunes? And... The music for Rayman 3 was ripped from the PS2 version and the music for Rayman M IS rippable in the PC version. Well, that is good idea... but is anybody here good in programming? BTW another thing can be Win32 version of R1. I am sure you understand why. tell me if you liked it. I'm going to dig in R1 a little tomorrow ( together with a RayTunes update ), because... I still have work to do for school now. @stan: I'm not very good at programming in C, C++ ( but I did learn to make a "hello world"-program in C++ ) or visual basic, but I can program in Gamemaker, just like bunnieblaster, who also seems to know a little 3D, which is good if we ever want to decompile Rayman 2, M or 3. Yeah, a Win32 version ( I'd like one too! ) of it wouldn't be so very hard, I guess. I would also like a level editor for rayman 2. Yeah, alright, but first, we'll have to start with Rayman 1. For Rayman 1, it'd be kinda easy, I guess. We'll just have to manage to decompile the level editor and look into it. EDIT -> Looked into the source of the level editor a little, and, I've found a way to modify some text in the Windows mapper and the in-game object placer, the object descriptions. MS_flamme1 Background torch Sprite of animated decoration. I've also found a way to rip the mapper sprites ( the world sprites ). You can just access them by opening the world folders in Rayman Gold/designer folder\ and open the PCX files in a graphics editing program. Normally, you can also edit the music just by modifying the audio tracks on the disk. You can change the values ( 1 = yes, 0 = no ) if you want another power. You can also change the music track that plays and the background in there, but I still need to test that. These are the events happening when you start the level/the object modifier? I dunno. But it looks like it. MS_ray_in_map is the initial position in the map for Rayman. I've found that in the EVE.MLT file in the world folder. This file is the most interesting. It contains every single name included in the world, and defines variables for it, I guess ( looking at "def" which could mean define XD ). For example, in the CAKE folder ( Candy Chateau ): gendoors, killdoors, balloons, counting wizards(? are they in designer as well? ), black toon ( antitoon? ), Mr. Dark, Rayman's feet ( haha ), flying clowns, etc. But I'll have to look into it a little more, I guess. If you wanted to edit or modify Rayman games, you would need a very experienced Programmer and you would need to get the Source code from Ubisoft (for a price, of course). 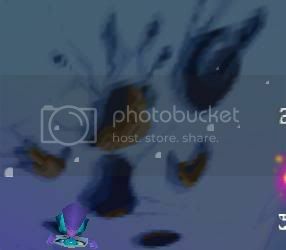 isn't it possible to convert Rayman Revolution to pc? The main idea of the project is decompile the game, NOT to redo the game under GameMaker. LunaVorax wrote: The main idea of the project is decompile the game, NOT to redo the game under GameMaker. I never said ANYTHING on redoing the game under GameMaker. I was meaning I have better chances on understanding GameMaker then any C++ or decompiling. Location: In the back of your head, destroying every bit of knowledge you have. Yeah, I know that program already. It rips the models as they are in-game. Sadly, it doesn't work with R3, neither with R2. It doesn't work if you run R2 in an emulator either. If you run a gamecube emulator with the Rayman 3 ISO it enables you to view the textures, which is how I will possibly make the R3 font. If you run a dreamcast emulator with Rayman 2 with it, it lets you rip textures, which is kinda interesting, because there are other textures in the dreamcast version ( the map textures are entirely different, etc. ). But you know what? I know another thing like that that DOES work with 2 Rayman games. With RRR: It rips, you can view the rabbids ( oh no I'd rather not look at them XD ), though everything is completely messed up because it doesn't rip everything. So it doesn't really work either. But... We'd rather like a model ripper that doesn't capture the models but rips them from the game files.